I’ve often walked past the Tommyfield. No more than 8 minutes from where I live, it could be my local but for an even closer offering in the opposite direction. 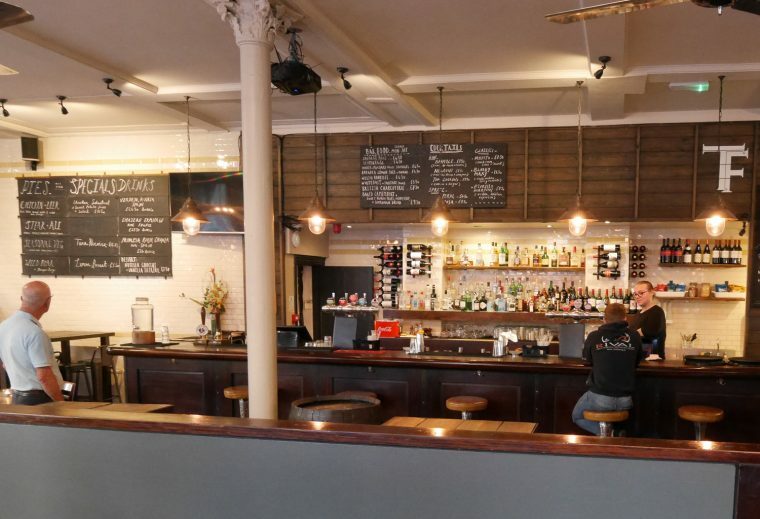 But, the Tommyfield looks different – more contemporary in style with a warehouse type interior. 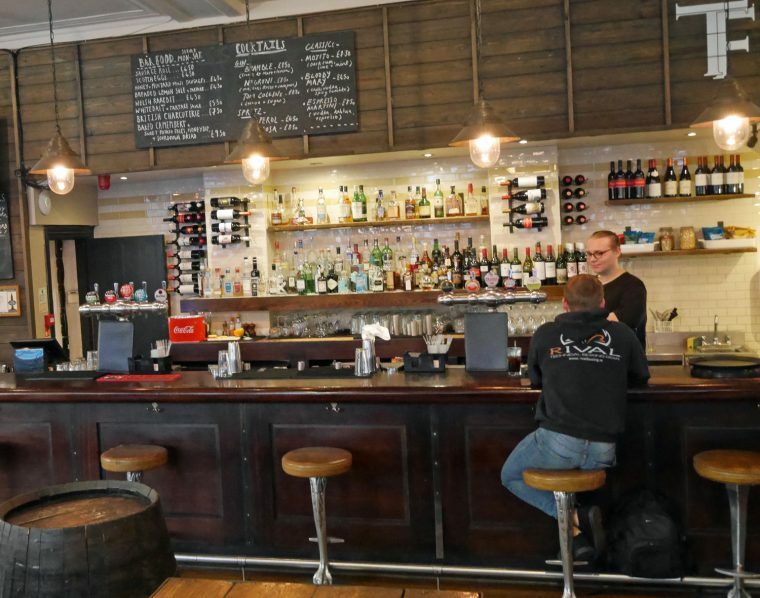 The layout is excellent, with a large open area and a raised seating section with tables in separate booths. I went along for dinner a week or so ago and was pleasantly surprised by the menu, which has a good selection of food. There are sharing dishes for the table – charcuterie, olives and mezze. And some interesting sounding starters. There are cocktails and a good range of beers. And, a good wine list which offers a range of wines by the glass and also in 500ml carafe in addition to by the bottle. We ordered 500ml of the Picpoul de Pinet Duc de Morny which was a good option for all the dishes we chose. 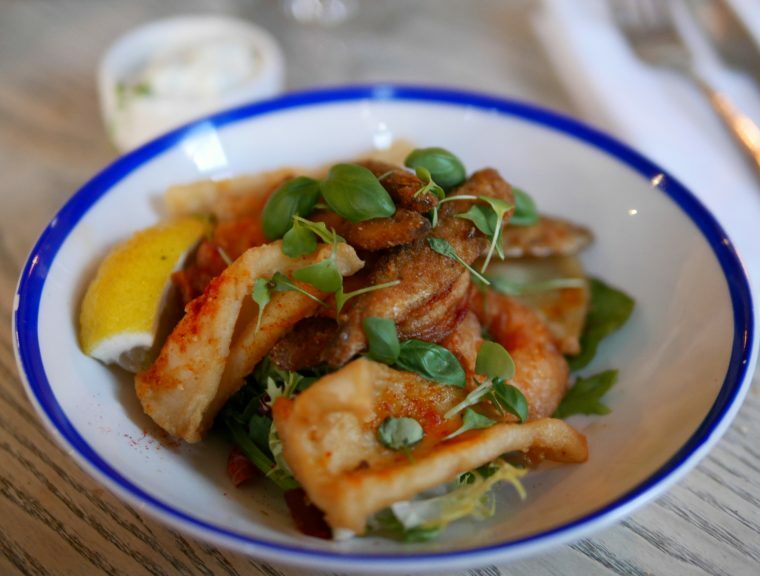 I picked the Fritto Misto with calamari, whitebait and prawns served with a tartare sauce and wasn’t entirely convinced by the dish which lacked any ‘crisp’ batter. It tasted fine though I’d have preferred an aioli to the tartare sauce. 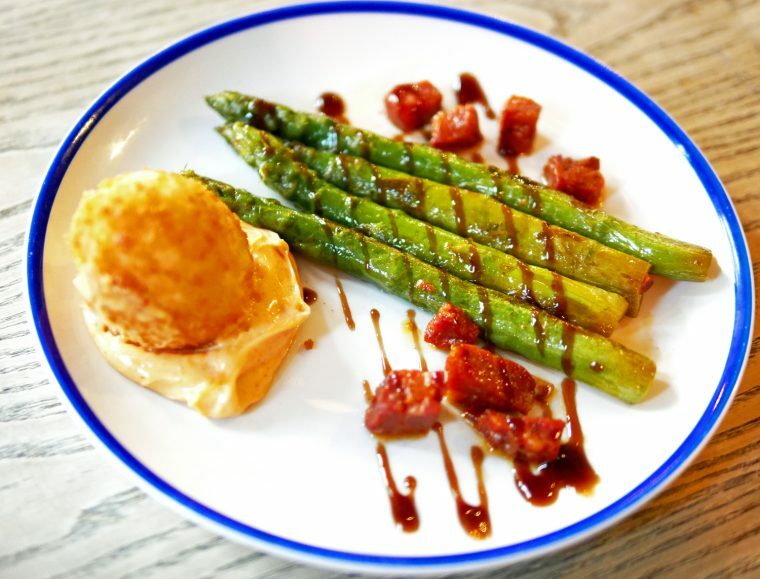 My companion picked the roasted asparagus with chorizo and crispy egg. The asparagus and chorizo were lovely, with a delicate char bringing out the flavours. But the crispy egg, like my Frito Misto, didn’t quite work – somehow it had a set yolk and undercooked egg white. I wonder if perhaps the deep fat fryer was playing up? The main courses at the Tommyfield are quite hearty. There are a whole range of pies which change daily, steaks and burger. And there’s a good selection of other dishes. 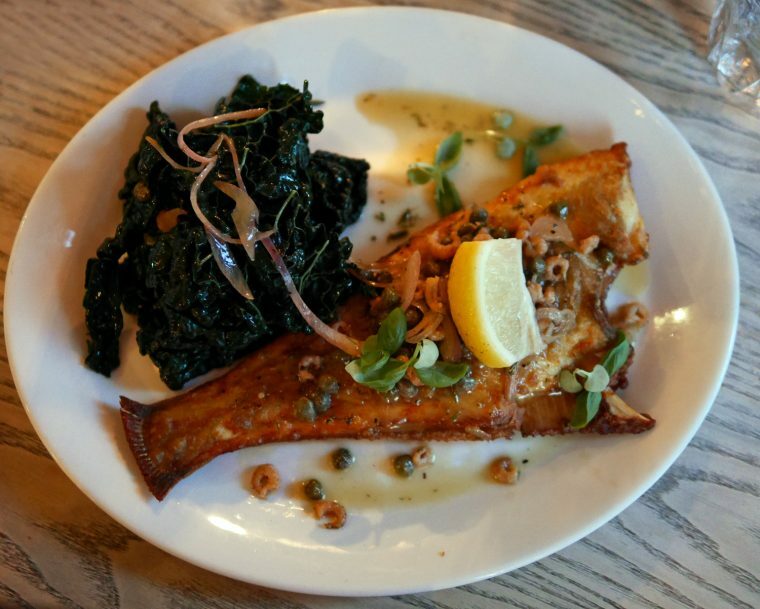 I chose the pan fried lemon sole with cavolo nero, brown shrimp, lemon butter and caper sauce. It was nicely cooked and a good choice as a slightly ‘lighter’ option, though I couldn’t finish all the cavolo nero. 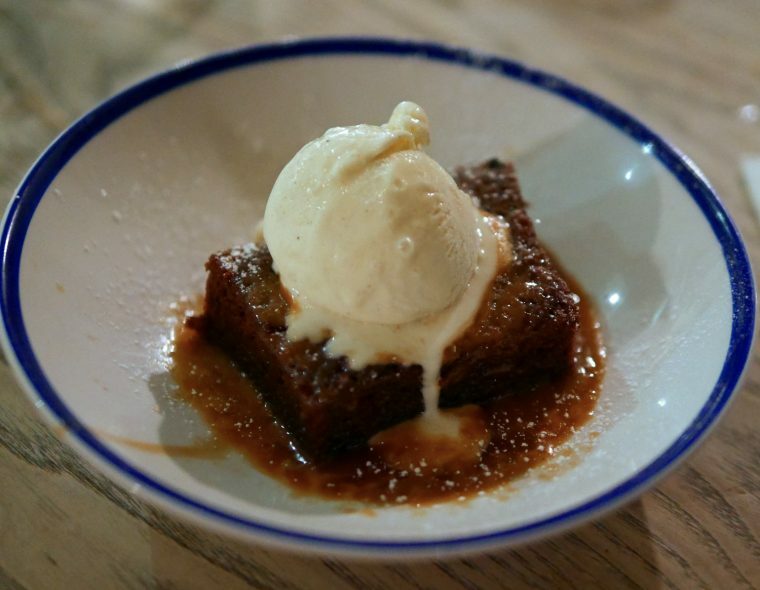 My sticky toffee pudding was the kind of dessert I seldom indulge in, but always enjoy! 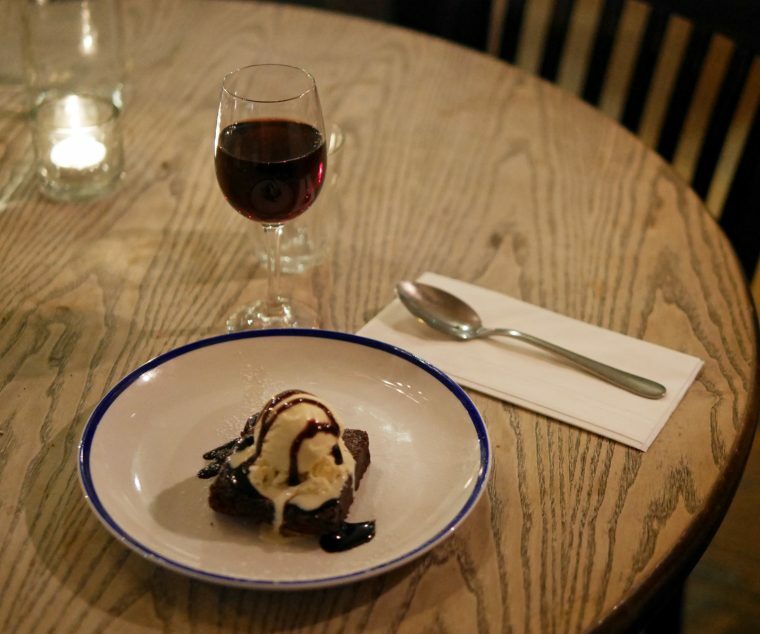 It came served with a glass of Monbazilliac Domaine de Grange Neuve – a lovely sweet pudding wine. Port for my companion to pair with her chocolate brownie – always a good idea. Although we might have just rolled out of the Tommyfield at this point, it seemed worth taking a look around. 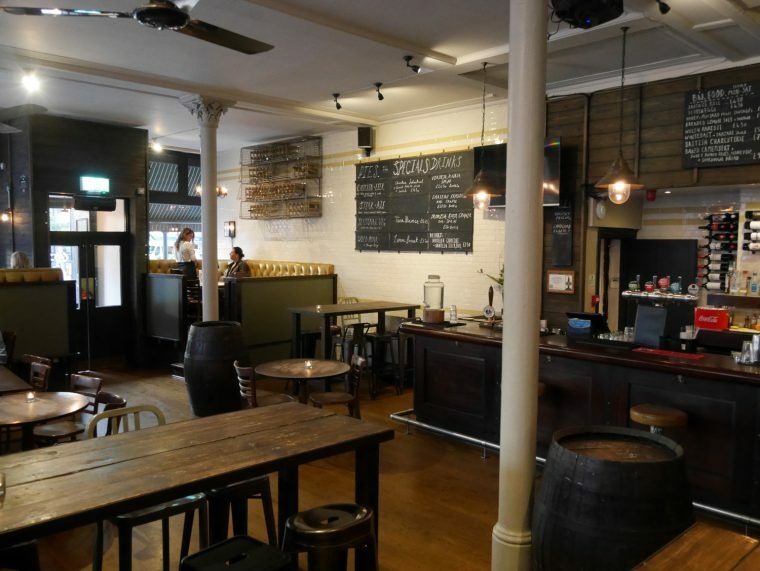 The pub has a large function room which is also used for very popular comedy nights. And, up a secret staircase, you’ll find six charming bedrooms. They are surprisingly large by London standards and beautifully fitted out. The sort of place that you DO keep a secret if you regularly need somewhere to stay in London because at just over £100 a night for a large double bedroom just one tube stop from Waterloo, you don’t really want the world to find out too quickly! All in, we enjoyed our evening at the Tommyfield a lot. 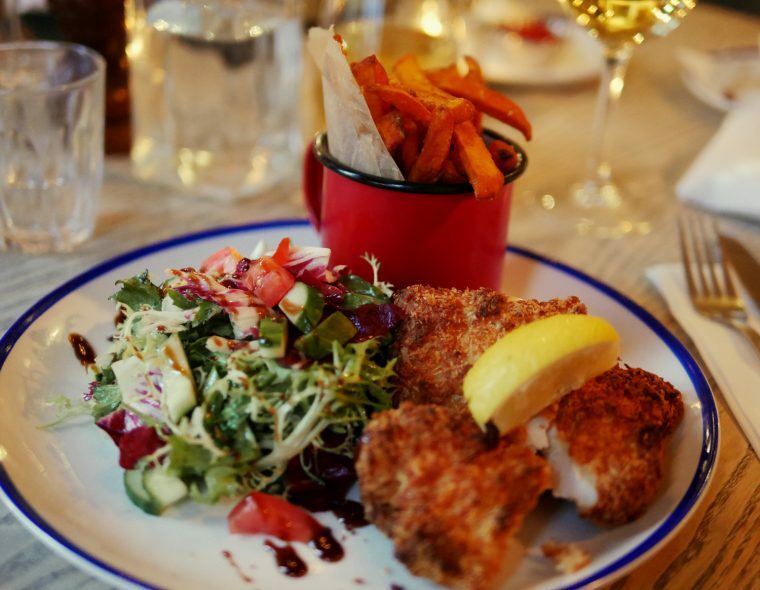 It’s a great place to have on your doorstep – well-priced wine from £18 a bottle, a selection of food with prices around £12-£15 for most main courses (steaks are more expensive). While not all the food was perfect, the desserts were to die for and there was more than enough to feed a hungry blogger!